product technology Nokia 6 new update Full specifications Features and Reviews! 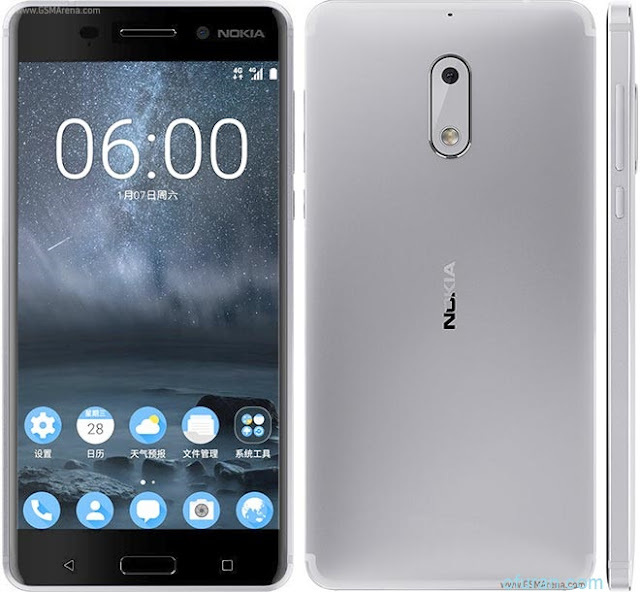 Nokia 6 new update Full specifications Features and Reviews! Nokia 6 Full specifications Features and Reviews! Nokia 6 smartphone new update is coming to the market on January, 2018. Chinese smartphone company HMD Global is going to bring most popular smartphone Nokia 6 new update version to the market next year. This phone is the first bezel less screen smartphone of Nokia. There are also some other changes coming to Nokia 6 new version. And the smartphone price is becoming within the reach of common people. As a result, Nokia will bring a top quality smartphone experience at a low price, Nokia 6 (2018 version). Let's know the new features of Nokia 6 new version. 1. 5.5-inch IPS LCD, Dust and Water Shuttering and 1920 x 1080 pixels and Corning Gorilla Glass Display. 2. 4 GB RAM, 32/64 GB storage, which can be increased to 256 GB. 3. Rear camera is 16 megapixels and F / 1.8 aparture. The front camera is 5 megapixels. Qualcomm Snapdragon 630 2.2 GHz octacore processor. 7. The price of the phone will be around $350 USD only. It is heard that the phone is coming to market in the early of 2018. This potential design of Nokia 6 (2018) is released on YouTube videos.